﻿Synopsis by the author/publisherNoriko is just getting started as a junior reporter for the Asagake Times. She wants to cover the hard-hitting issues, like world affairs and politics, but does she have the smarts for it? 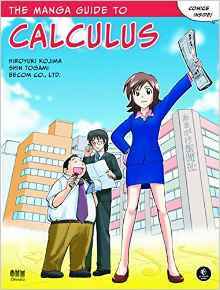 Thankfully, her overbearing and math-minded boss, Mr. Seki, is here to teach her how to analyze her stories with a mathematical eye.